Earlier in the day, the Justice Department sent the committee a letter demanding a commitment in writing that any subpoena not be used during the hearing, a promise that Mr. Nadler, Democrat of New York, initially would not give. But after negotiations that began early in the evening, the committee agreed verbally and in writing not to issue a subpoena on or before Feb. 8, according to a Justice Department spokeswoman, Kerri Kupec. He then said on Twitter that Mr. Whitaker would be joining the committee. CONFIRMED: Acting Attorney General Whitaker will appear tomorrow morning at 9:30am. My response to Acting AG Whitaker regarding the use of a subpoena for tomorrow’s @HouseJudiciary hearing. 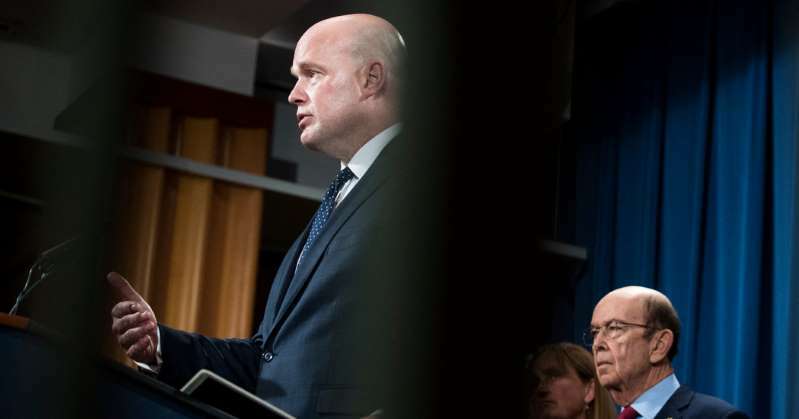 Once given the verbal and written promise, the Justice Department told the committee that Mr. Whitaker would be at the hearing on Friday. Democrats want to ask Mr. Whitaker about matters related to the Russia investigation led by the special counsel, Robert S. Mueller III, and whether Mr. Trump replaced Attorney General Jeff Sessions with Mr. Whitaker to interfere with that inquiry. Some Democrats consider Mr. Whitaker’s appointment to be illegitimate. On Jan. 22, Mr. Nadler sent Mr. Whitaker a letter outlining questions that Democrats might ask him about his conversations with Mr. Trump and asked him to consult the White House ahead of time about whether Mr. Trump would invoke the privilege over them. Absent such an invocation, Mr. Nadler wrote that the committee would otherwise expect answers at the hearing. Mr. Collins of Georgia called the subpoena “political theater.” In a statement, Mr. Whitaker agreed.